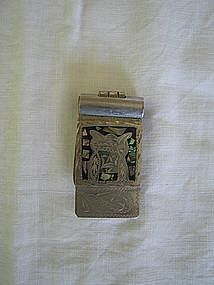 This is an older owl money clip. There is no damage, but the grip is not as tight as I think it should be. Additional photos by email. I need your zip code to calculate the postage.